At 8,611m, K2 is arguably the last 8,000m peak to remain unsumitted during the winter. 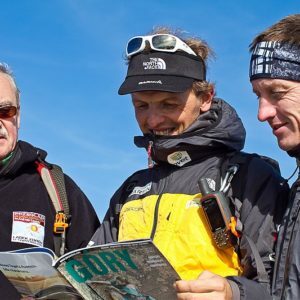 This season, a team of climbers coordinated by Krzysztof Wielicki will attempt to become the first to complete the feat. 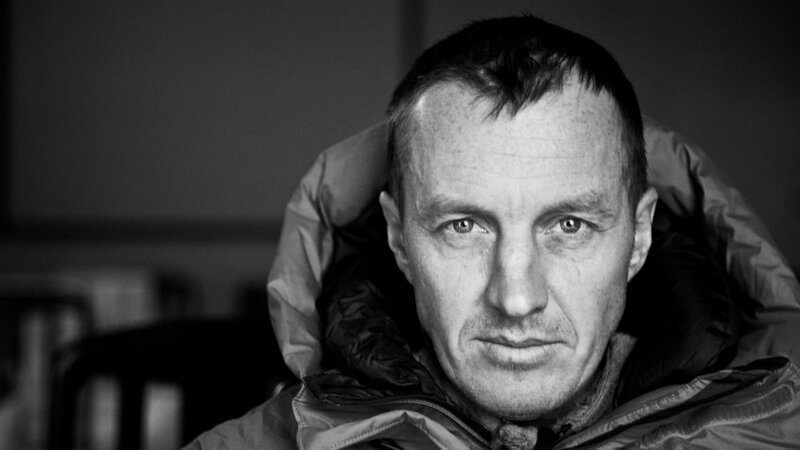 Famed alpinist Denis Urubko is one of those who has taken up the challenge. Denis has an incredible mountaineering resume. 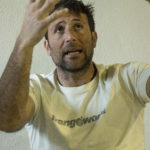 Since summiting Everest without oxygen in 2000 he has scaled Gasherbrum II, Lhotse, Nanga Parbat, Broad Peak, Manaslu and Mankalu to name but a few of his expeditions. 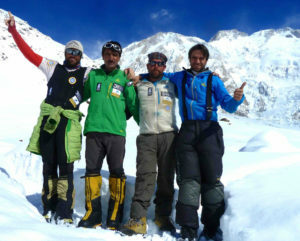 In 2010, alongside Boris Dedeshko, he was awarded the Piolet D’Or for their ascent of Cho Oyo’s SE Face in the alpine style. 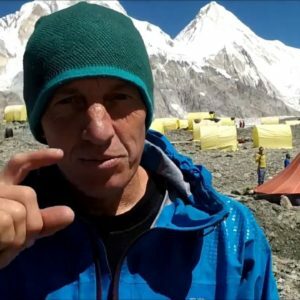 In an extensive interview with Alpinismonline, Denis provides a fantastic insight in to his preparation for the K2 expedition, as well as giving his views on the “real” alpine style and increasing commercialization of the great mountains. ExWeb’s English translation of the full interview can be found below. The best winter climbers often seem to come from Eastern Europe, why do you think this is? We shouldn’t be making parallels. 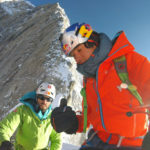 Some interesting winter climbs have been completed by climbers from France, Italy and Spain. The bodies and minds of people are very similar everywhere in the world. However, many choices depend on the cultural and historical relationships of a person with the mountains. In Western Europe, people tend to do different activities during the winter. 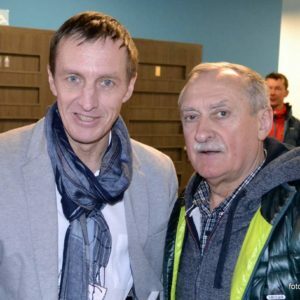 Skiing is a very important activity and it is less popular in Poland and Russia. 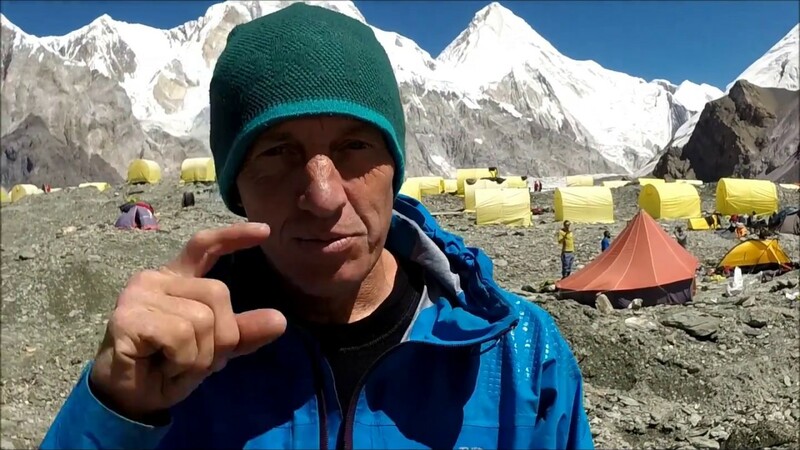 Alex Txikon said “no” to your expedition to K2. Now he’s going to Everest again without O2, in winter. Do you think he’s doing the right thing after his attempts from last year? Of course, Alex has the right form and he can complete a personal dream if he succeeds. I have a lot of respect for him. But we have to understand the “heat” of the adventure, of the exploration. In my humble opinion, this decreases after an initial attempt and on subsequent tries. Rock climbers differentiate between On-sight and Repeat styles. Repetition makes me sad, especially if I’m taking the same routes. 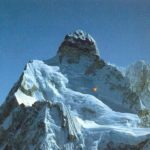 For example, climbs to Nuptse or Nanga Parbat have received Piolet d’Ors, despite route repetition, as the climbers claim it is the “pure alpine style”. I find this weird. 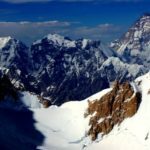 This winter I’m going to try K2 and I will build my knowledge of the Abruzzos route. In the event that our group attacks that route, it will give me more opportunities and less emotions. But the winter climb is one big adventure in any case. Alex and I are in parallel due to these incredible challenges. I’m expecting to see him on the highest point on Everest. 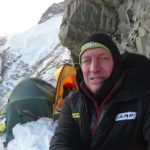 You have earned a reputation as one of the worlds most powerful winter climbers and now you are going to try to close the list of the fourteen 8,000m summits in winter. Are you prepared to go down in history? Even if we complete a winter climb of K2, it’s impossible to close the “list” because Broad Peak and Gasherbrum I have not yet been climbed in the winter period. It will be a great challenge to organize expeditions to these mountains in the future. After this, we can talk about “history” maybe. A lot of people would like to be included in the pages of history and I am not an exception. However, it’s better to not be an alpinist who is pursuing that goal. My desire is to achieve personal goals as an athlete and to explore my desires as an artist. To gain fulfilment through my own physical and mental achievements. Yes, you’re right. Year after year, mountaineers have had a lot of new opportunities thanks to this modern style. 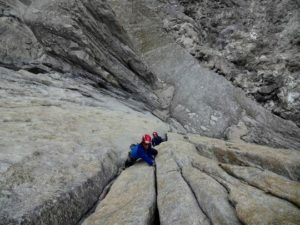 Technique, technology, knowledge – advancements in these fields provide a lot of help with the details of mountaineering. 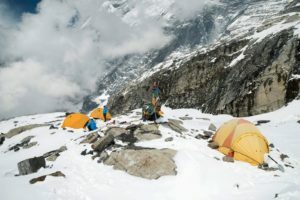 The new generation of climbers have more information to work with; the understanding of acclimatization, new crampons, tents, stoves… It gives opportunities to make a step forward, to act with less hesitation and additional courage. 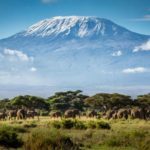 Are you in favour of the current commercialization of the great mountains? The alpinists can make their own choices. The problems only begin when the government (Nepal, Pakistan, China etc.) establish new rules for these commercial expeditions. For example, 20 years ago, everyone was free to go to Khumbu or the South Col on their own… Now they have an obligation to pay a Sherpa. 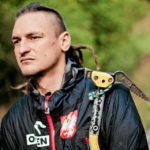 When you include the prices for the permits it becomes impossible for a normal alpinist to pay the amount that the government of Nepal requires. You and Pipi Cardell opened a new route to the peak of Chapayev this spring. How was your experience on the mountain? The peak of Chapayeva had been my dream since 1993. As far as I know, no one had reached the peak in 22 years and no one had opened a new route in 37 years, despite many attempts. My dream had always been to reach the top. I chose the perfect moment and the perfect partner, just like in chess. It was very important to create a good, positive, relationship with Maria Cardell in such extreme conditions. We needed to be able to control each other. We did a lot of climbs in Europe and Asia last year, raising the difficulty step by step. During this time we discovered a lot of personal characteristics conducive to cooperation. This gave me the opportunity to look forward toward even more ambitious objectives. Maria and I were able to climb quickly and we camped without tents, it was very cold. We shared our last reserves of food and water. We always discussed the difficulties and the risks we were facing. It was a very nerve-racking and meditative experience, but it was positive in the end. What else do you have on your agenda to accomplish in the future? It will be winter very soon and it’s very important to be prepared for it. I’m jogging, calculating my effort levels. I’m climbing only for quantity, not quality, of the climbs, gaining experience on the mountains using non-extreme routes… because any small mistake could ruin my plans for this winter. 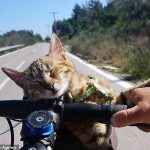 I am taking care of myself, in every possible way. In the village of Valcanale, under the huge rocky bastions, some friends and I are trying to organize something like an international camp. 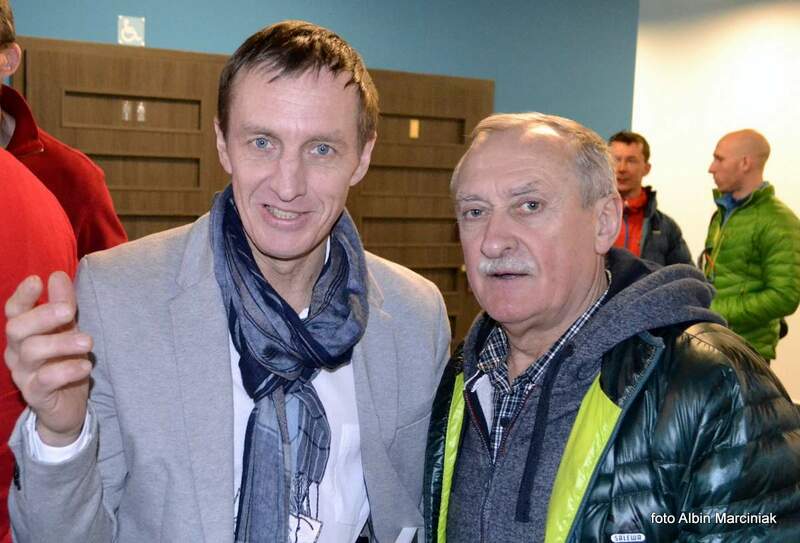 I would like to help young alpinists to improve their skills. We have planned visits to Spain and Poland, traveling hundreds of kilometres with a car and completing intermediate climbs along the way. I still need to finalize some ideas with the camp team. I am still looking to find the time to complete my new book in Italian. There’s so many things to do, that at the end of the day I go to sleep extremely tired, but happy! K2, particularly in winter, represents a huge challenge, it could almost be described as “hellish”. Do you think this word should be applied to K2? What are the factors that make it so complex? and avalanches on K2. These factors are normal in winter conditions, we need to be prepared for action nonetheless. What were your reasons for finally accepting this challenge? It was just in that period when I was feeling free, less bound by obligations. 2017 was a pleasant year with high-altitude ascents in both winter and summer. No decisions should be taken lightly during winter expeditions at such great height. It’s a real art form and I’d like to proceed in a brilliant and unbreakable explosion of positive emotions. Even attempts that do not reach a summit – I wouldn’t call them failures – bring knowledge, experience, team solidarity. 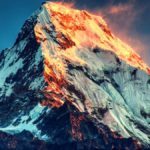 After so many attempts on K2 (some of which you have participated in) do you think that the time is right for someone to go out and complete the challenge? Time does not have an impact in this case. Yes, you’re right that there have been many attempts made on K2. These have contributed to knowledge and ideas, but we have to remember that every failed climb creates more panic, as well as doubts. It’s a compromise. 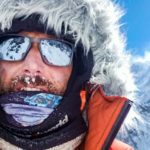 It’s not correct to say that every new expedition has more chance of success just because there have been previous attempts. 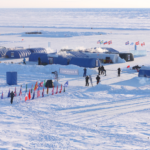 However, the new organizational style, and new technologies will strengthen the next expedition, of course. What is your strategy to achieve success? In my humble opinion, the primary strategy is based on simple rules: work hard, keep quiet, think of reality as a game. But I am not alone and we need a strategy that works for the entire team. The motives and opinions of the other members are very important to me. I’ll never surrender. I’ll try to do my best for the success of our whole team. All of Poland and a lot of people from everywhere in the world are a part of the expedition. It’s better to proceed with the strategy of being human. For this expedition to K2, have you already planned a strategy? 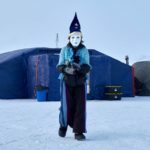 I think that it’s better to ask the leader of our expedition this question. I need to be prepared as fully as possible so that I will be ready to push to the top, as a member. Out of all your winter eight-thousanders, which has been the most complex so far? Regardless of whether or not you reached the top. Whoops! K2, Makalu and G2 were very difficult projects. Three completely different challenges. It’s because we fight until the last opportunity, until we reach the limit (or even beyond) of our abilities. Out of all of my experiences with winter eight-thousanders, only Nanga in 2013 was bad, due to the day-to-day situation and bad luck. You have said that the winter season should be measured according to “climate factors” and not the “astronomical calendar”. 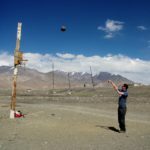 Therefore, taking into account the issue, “winter” for the Himalayas and Karakoram runs between 21st December and the 28th February. Do you still hold that opinion? Would the 28th February be the deadline to reach the “Winter K2” summit? I guess that the period between 1st December and 28th or 29th February can be considered as true winter. While we’re approaching our project for K2, my opinion does not matter, because I am only doing my duty and I’d love to reach the peak. Earlier or later than these dates, it doesn’t matter. The accomplishment is what matters. 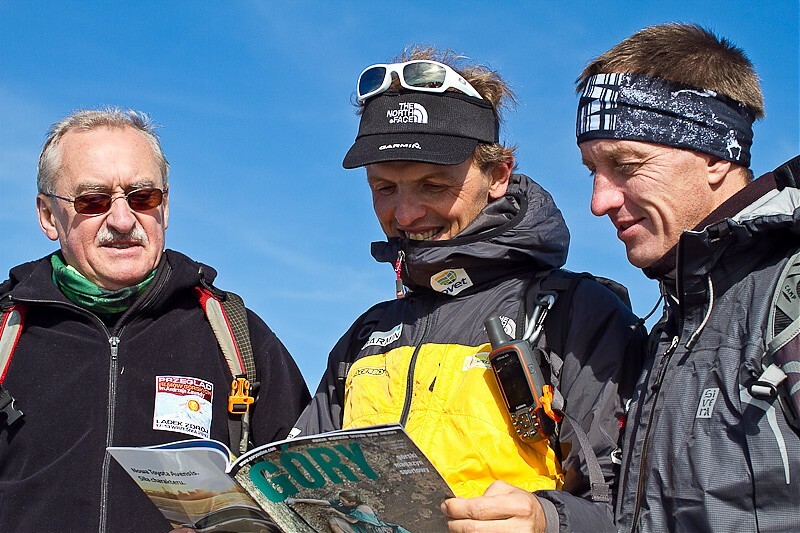 After the expedition, we will check to see what exactly we have accomplished with Krzysztof Wielicki. So, without making “predictions”, what will the situation be on the first of March in the aftermath of winter on K2? Just wish me luck, please. We will talk about K2 in the past tense, not the future. Wish me the luck to come back home, please. ExWeb sincerely wishes Denis and the rest of the K2 Winter team the best of luck.